Preheat oven to 375 degrees. Spray mini muffin tins with cooking spray. Combine the dry ingredients, then add the wet ingredients. Mix only until moistened. Fill mini muffin cups 2/3 - 3/4 full. Top with cinnamon sugar. Bake for 13-15 minutes until a toothpick poked into the muffin center comes out clean. Allow to cool in muffin tins for 5-10 minutes. 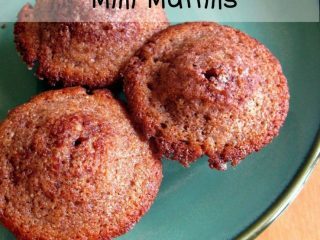 Remove from muffin tins and completely cool. These Whole Wheat Cinnamon Mini Muffins make the whole house smell good, and they’d make a lovely fall gift for a friend or neighbor. This recipe is linked to October Frights at What’s Allie Making Now, Full Plate Thursday at Miz Helen’s Country Kitchen, Tasty Tuesday at Balancing Beauty & Bedlam, Favorite Fall Recipes at Multiples & More, CraftOManiac Monday at CraftOManiac, Meatless Monday at Midnight Maniac, Friday Food at MomTrends, and Feasting in Fellowship Friday at Comfy in the Kitchen.. Thanks for the recipe! Have you tried using 1/2c apple sauce instead of the oil? That’s a great idea, Lynn. I never have applesauce in the house, though. When I buy it, my husband and son eat it to quick for me to bake with it! 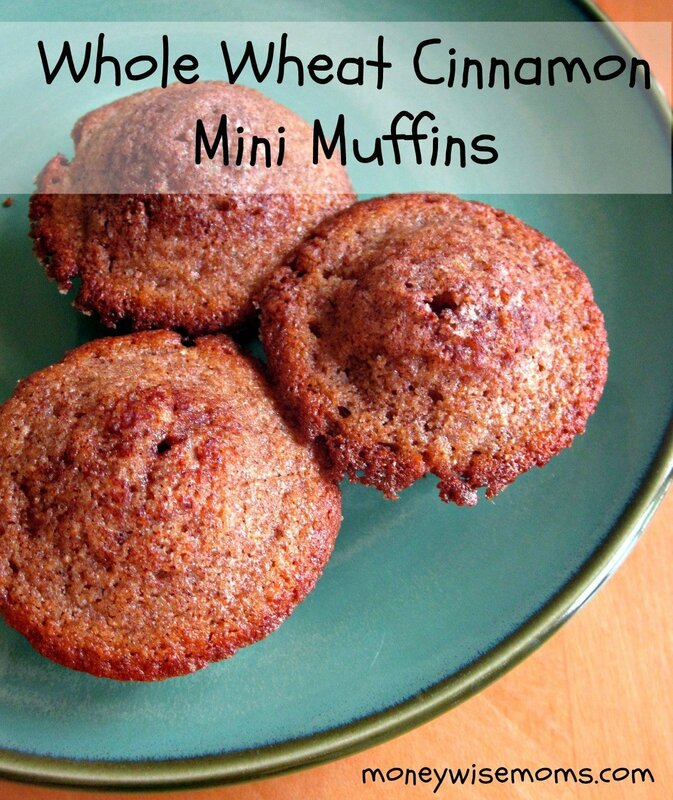 Just made these with applesauce instead of oil and they are divine! Love all the cinnamon flavor.